Major highway #17S toward Chatleston, SC. Take #421 into Goose Creek, SC, Navy Short Stay is close by. Photo was taken in early Spring of 2011. 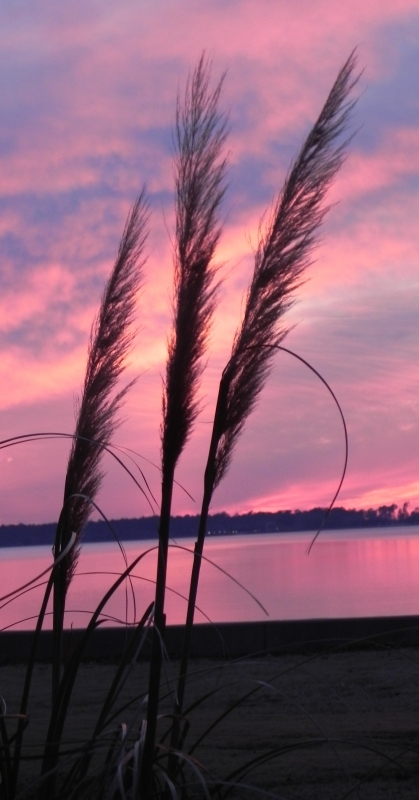 Pampas Grass shilhouetted against a multi-colored sunset on Lake Moultrie, SC. behind the cabins at the Navy Recreation Grounds.